Signed, lined and dated by the author. Not available anywhere else. 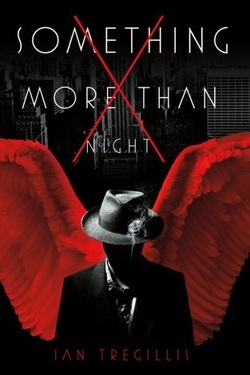 Synopsis : Ian Tregillis's Something More Than Night is a Dashiell Hammett and Raymond Chandler inspired murder mystery set in Thomas Aquinas’s vision of Heaven. It’s a noir detective story starring fallen angels, the heavenly choir, nightclub stigmatics, a priest with a dirty secret, a femme fatale, and the Voice of God.Somebody has murdered the angel Gabriel. Worse, the Jericho Trumpet has gone missing, putting Heaven on the brink of a truly cosmic crisis. But the twisty plot that unfolds from the murder investigation leads to something much bigger: a con job one billion years in the making.